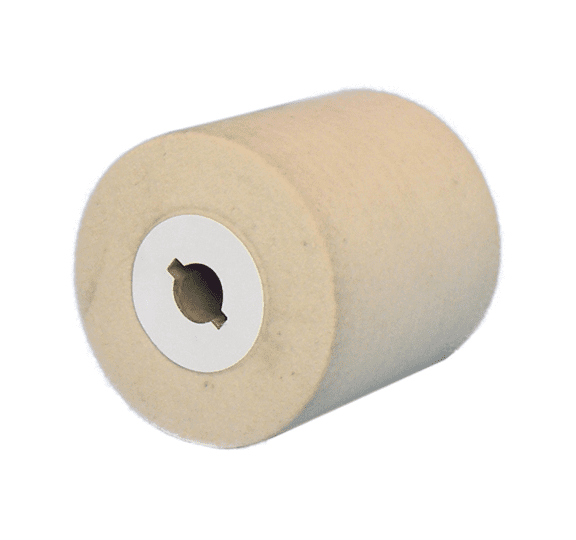 Felt rollers FAPI-GLOSS are produced from high quality hard-compressed wool felt. High edge stability and effectiveness of the felt rollers FAPI-GLOSS are attained due to the hardness and density of the felt body. Our felt rollers FAPI-GLOSS, which possess superb elasticity, are used in particular with large and easily accessible surfaces. In order to attain an optimum surface finish our felt rollers FAPI-GLOSS are used in conjunction with polishing compound.